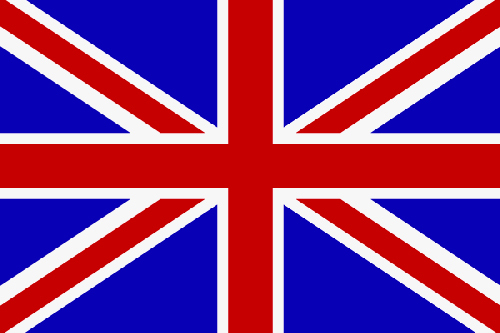 Jan Donner was born in 1989 started his musical education at the piano moving on to the first brass instrument in the local town band. Matthias Haakh was born in 1986 in Athens, Greece, and grew up in Neutstadt in Rhineland-Palatinate, Germany. 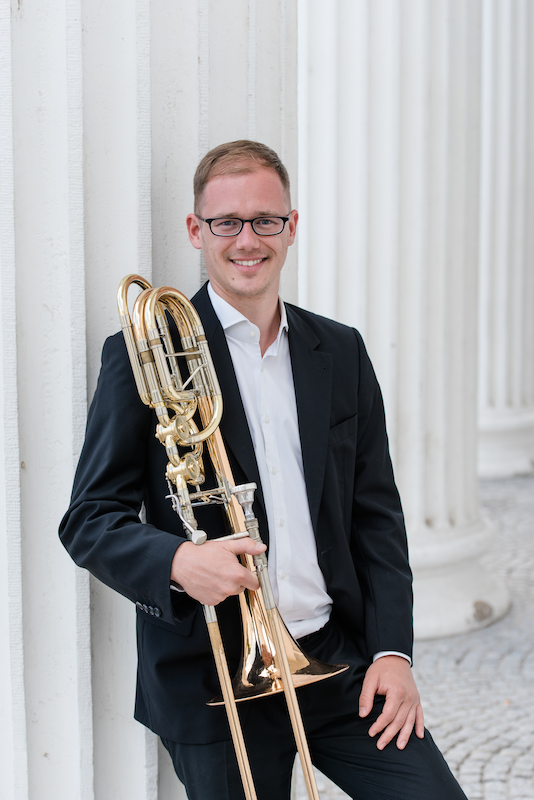 Soon after starting to play the trombone, Matthias began preparatory studies with Professor Henning Wiegräbe at the State University of Music and the Performing Arts Stuttgart where he later began his formal studies. After his third semester, he left his teacher of many years and transferred to Professor Jonas Bylund's studio at the University of Music, Drama and Media Hanover. For the winter semester in 2010, Matthias was an Erasmus exchange student at the Norwegian Academy of Music in Oslo, studying with Professor Ingemar Roos. Matthias Haakh was a member of the 2008 and 2009 Schleswig-Holstein Music Festivals and worked with composer and conductor Pierre Boulez at the Lucerne Festival in 2010. 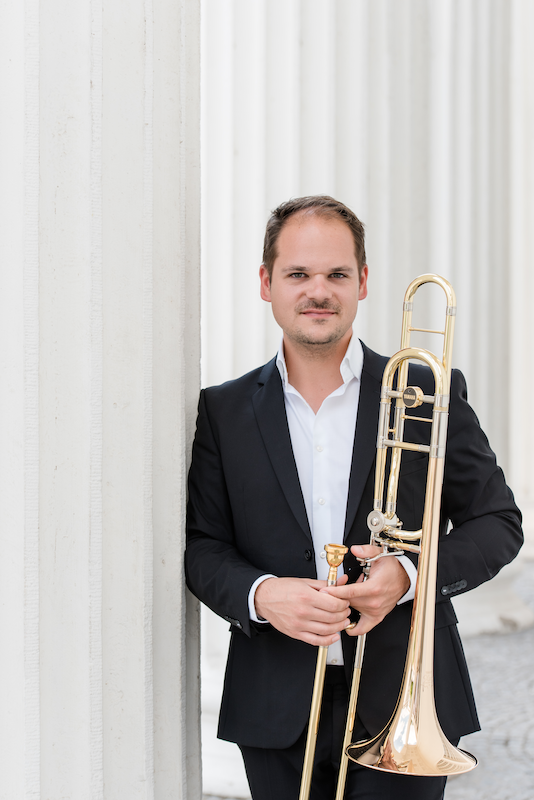 2011-2013 Matthias Haakh played as an academic at the Bayerische Staatsoper, followed by an engagement as a principal trombonist at the Theater Würzburg. Since 2017 he has been a trombonist of the Wuppertal Symphony Orchestra. Johannes Weidner started to play music in his local wind band playing the Euphonium later also the trombone. He studied in the class of Jonas Bylund at the Hochschule for Musik, Theater und Medien in Hannover. During his studies he worked with many well-known musicians i.e. Daniel Schnyder, David Taylor and Ed Partyka. Apart from playing as substitute in different symphony orchestras such as SWR Sinfonieorchester Baden-Baden und Freiburg, Staatsorchester Hannover, Theater Lübeck and the Göttinger Symphonie Orchester he also played on many CDs and DVDs playing Contemporary, Pop and Big Band music. 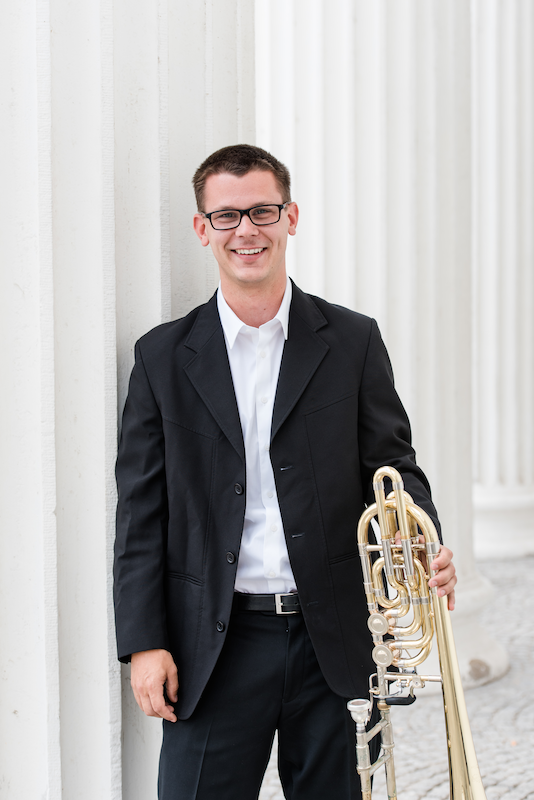 Florian Zerbaum began playing tenor horn at the age of seven, switching to the trombone at the age of 12. After one year, he began preparatory studies at the Felix Mendelssohn-Bartholdy University of Music Leipzig. In 2007, he began his formal conservatory studies at the University of Music “Hanns Eisler” Berlin, as a member of Professor Christhard Gössling's studio. He has gained experience in various student orchestras, such as the Berlin Youth Symphony, the Youth Philharmonic Orchestra of Lower Saxony (JPON), as well as experience as a substitute with the Mecklenburg Staatskappelle Schwerin, the Anhalt Philharmonic Dessau and the Orchestra of the Comic Opera Berlin. From 2010 to 2012, Florian was a member of the Berlin Philharmonic Orchestra Academy. In addition to his competition performances with 10forBrass, Florian won the first solo prize at the Jugend Musiziert competition in 2006 and the German Lions Club Music Competition in 2009. After completing his studies in 2012, Florian Zerbaum was accepted to the Meisterklasse program at the Felix Mendelssohn-Bartholdy University of Music Leipzig studying with Professor Thomas Leyendecker. From 2013 to 15, he was member of the Mendelssohn-Orchestra-Academy of the Gewandhausorchester Leipzig where he was teached by Prof. Otmar Strobel. 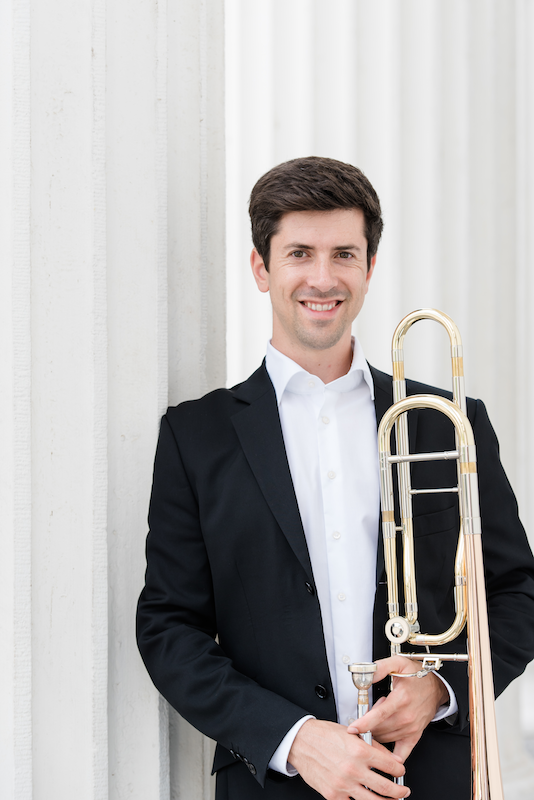 Since 2015, Florian is playing as a second trombonist (and Bass-Trumpet) in a temporary contract with the Gewandhausorchester.